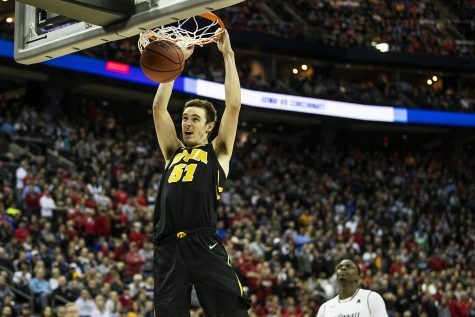 With Jordan Bohannon and Connor McCaffery returning, Iowa looks to get off to a good start offensively in its season-opener. Iowa's Jordan Bohannon is guarded by Iowa State's Donovan Jackson during the Iowa Corn CyHawk Series men's basketball game at Hilton Coliseum in Ames on Thursday, Dec. 7, 2017. The Cyclones defeated the Hawkeyes, 84-78. Tyler Cook threw down a vicious windmill dunk in Iowa’s 103-46 exhibition game/slaughtering of Guilford on Sunday. Despite the intensity and overall impressiveness of the dunk, it doesn’t count in the stats. But when the Hawkeyes take on Missouri-Kansas City today in Carver-Hawkeye, everything will count. 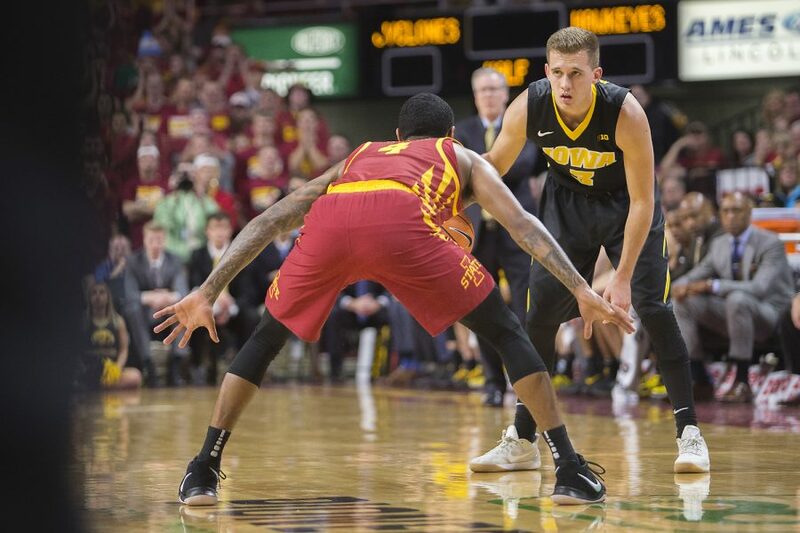 Iowa’s offense will start with Cook once again this season, but Jordan Bohannon’s presence is just as important. 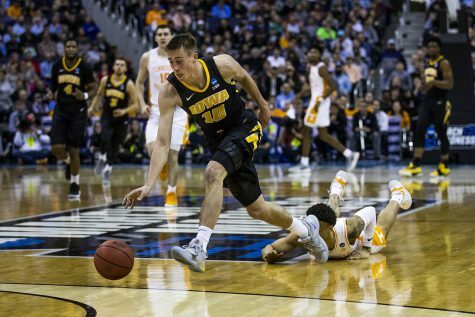 Bohannon missed Iowa’s exhibition against Guilford on Sunday after he had gone about two weeks without practicing following a bruise injury. 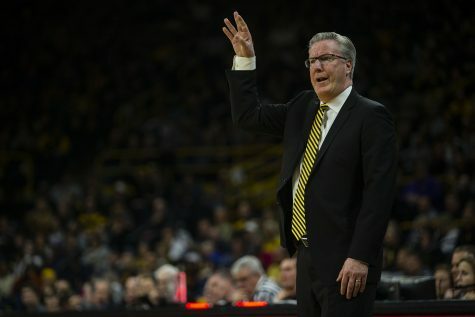 McCaffery said Bohannon practiced on Tuesday and would try again Wednesday, noting he looked close to being himself. Bohannon finished last season second on the team with 13.5 points a game, including a team-best 43 percent mark from behind the arc, and he led the squad with 5.4 assists. 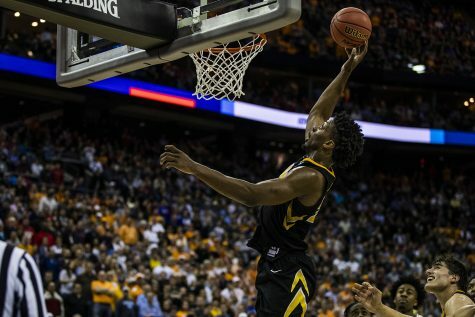 Sunday’s exhibition game proved to be a good chance to get the starters and bench players warmed up, but Bohannon doesn’t think his exclusion will play a big role. 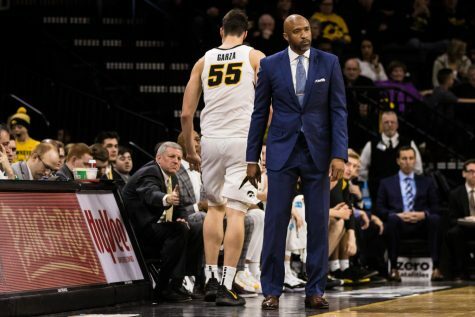 If Bohannon feels any ill effects, however, now is a better time for Iowa as opposed to in the middle of the season. 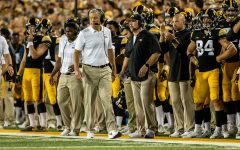 The Hawkeyes start with Missouri-Kansas City before hosting Green Bay on Nov. 11. While Iowa doesn’t want Bohannon to miss time, of course, it has a solid backup option at point guard in Connor McCaffery as opposed to last season, when the younger McCaffery missed nearly the entire season. 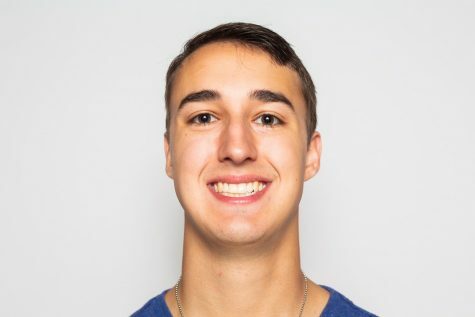 When Bohannon isn’t on the floor, the Hawkeyes lack a true distributor, but Connor McCaffery fills that role as he tries to feed Cook and Luka Garza in the post or shooters on the wing. 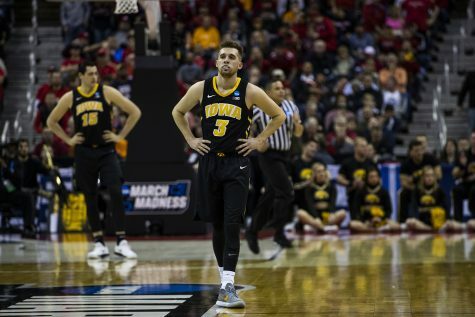 Iowa also has the chance to run with Connor McCaffery at point guard and Bohannon at the 2 to get Bohannon more open shots — something the team couldn’t do last year. 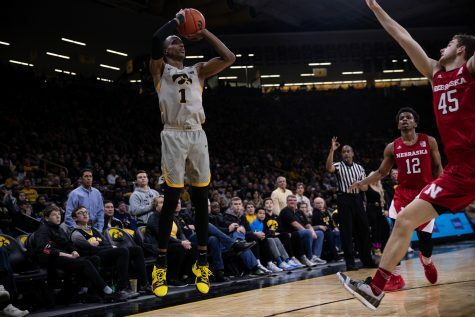 In Fran McCaffery’s offense, which involves running the floor and starting fast breaks, the duo could complement each other well. 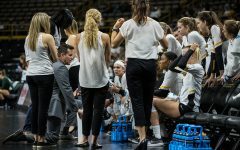 Missouri-KC started its season off with Loyola-Chicago, which is coming off a Final Four appearance, falling, 76-45, on Tuesday. 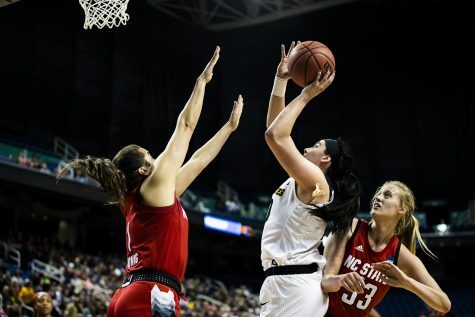 Iowa has focused on defense all offseason after finishing last in the Big Ten in 2017-18, allowing 78.7 points per game. 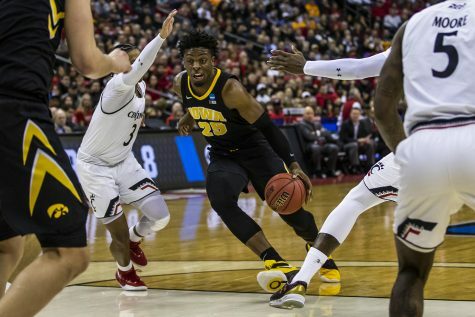 After an exhibition game in which the Hawkeyes held the opponent to fewer than 50 points, now is the chance for Iowa to see how much improvement its defense has really made. And it counts.